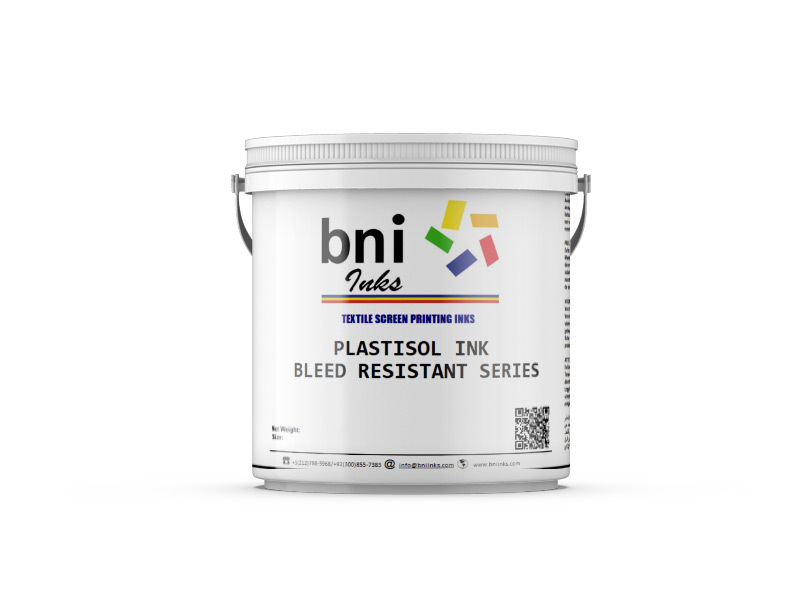 PLASTISOL BLEED RESISTANT COLOR SERIES (JV/BR) is a Phthalate and Heavy Metals free printing ink, for screen printing onto textiles of 100% cotton and poly/cotton composition fabrics. Excellent results on 50/50 fabrics. 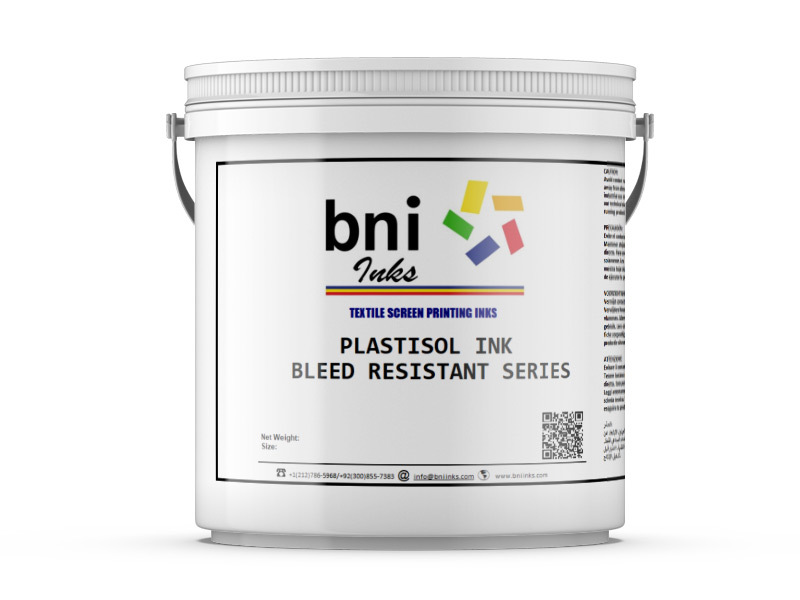 PLASTISOL BLEED RESISTANT COLOR SERIES (JV/BR) can result best for lowering, dye migration if cured at a lower temperature. 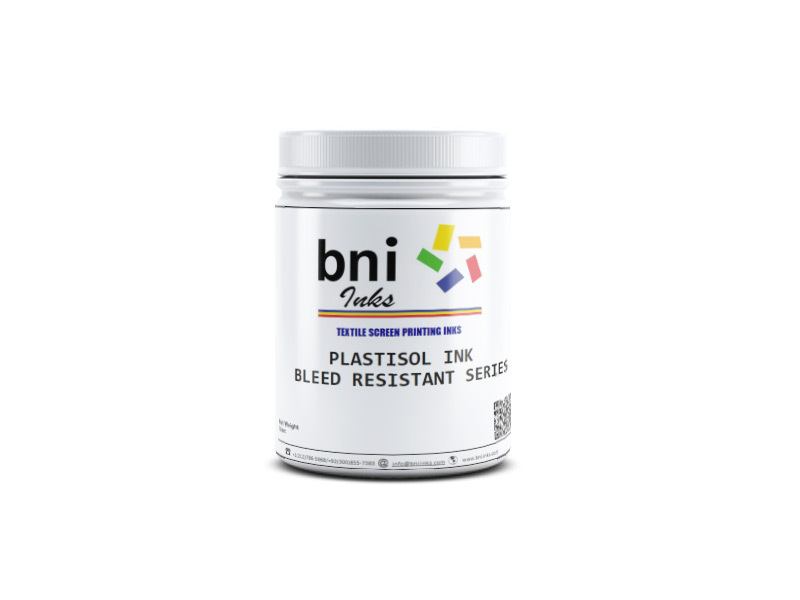 PLASTISOL BLEED RESISTANT COLOR SERIES (JV/BR) test negative for restricted metals. For best results on high migration fabrics we recommend using BNI Inks Gray Blocker or Athletic White as base. Reducing viscosity may result in loss of opacity and poor migration properties. Flash Time: 110° C for 5 seconds.